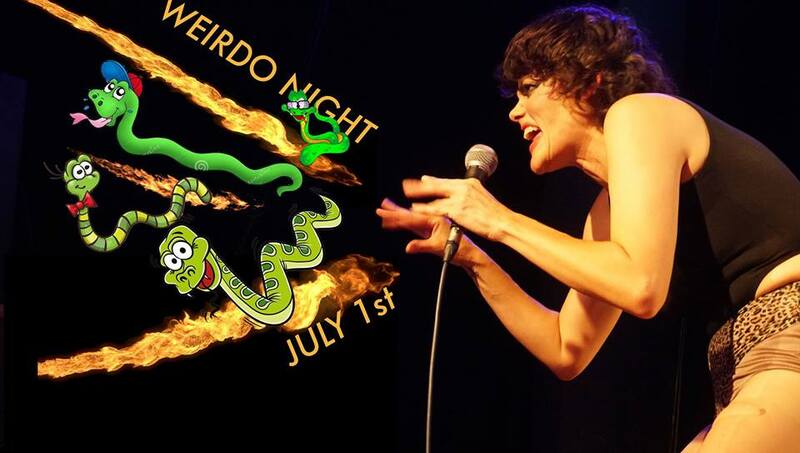 Weirdo Night with DYNASTY HANDBAG and Christina Catherine Martinez, Miss Barbie-Q and more! Plus Dance-Y-Oke! Actor, Producer, Director, Dancer, Singer, Poet, Writer, Club Legend, Radio/Event Host, Performance Artist. Miss Barbie Q has been doing entertainment for over two decades and has their BA in Radio/TV/Film from Cal State Fullerton. They work full time in mental health and is studying to be a spiritual practitioner while working on their art as well. They’ve worked on Lady Gaga’s Telephone, appeared in Emmy nominated WifeyTV’s THIS IS ME, and was one of the leads in the independent musical film, Leave It on the Floor. They just finished stage work as a Dandy Minion in Taylor Mac’s 4 day event, 24 Hours of Popular Music at the Ace Theatre. They just became an Associate Member of Sacred Fools Theatre Company and just hosted the PROUD STORIES and the AIDS Lifecycle Finishing Line Festival at Grand Park. They have performed or hosted for Planet Queer, Trannyshack, Dragstrip 66, Bears in Space, Salad Saturdays, Exposure, West Hollywood Halloween Carnival, Hamburger Mary’s Weho and Cabaret Consensual to name a few. is a writer and comedian from Los Angeles, CA. Her act has been described by the Comedy Bureau as “an effortless blend of stand up, performance art, and clowning.” She has performed at art and comedy venues all over North America, including Thunderfest Comedy Bacchanal in Boston, Cinder Block Comedy Festival in NYC, and at Art T/O in Toronto, Canada. Her writings on art and culture have appeared in VICE, ArtForum, New York Magazine, and various books and art catalogues. She produces and hosts Aesthetical Relations, a live talk show with artists, comedians, video screenings, and a rotating house band.